Cancer treatment has been rapidly changing over the last few years. At the Sidney Kimmel Cancer Center — Washington Township, we use an approach that combines the latest in cancer fighting technology with a personalized patient focused approach to provide award-winning cancer care close to home. For more information on Medical Imaging Services at the Sidney Kimmel Cancer Center — Washington Township or other services available, please call 856-218-5324. 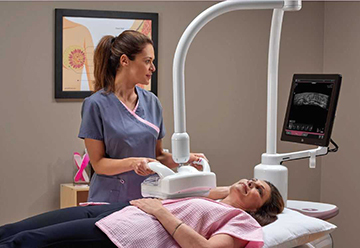 GE’s SenoClaire™ breast tomosynthesis is a three-dimensional imaging technology that uses a low-dose short X-ray sweep around the compressed breast with only nine exposures. This imaging technique is designed to separate the tissues and to reduce the overlapping of structures, which represents a limiting factor in standard 2D mammography. For more information on 3D Mammography at Sidney Kimmel Cancer Center — Washington Township or other cancer services available, please call 856-218-5324. 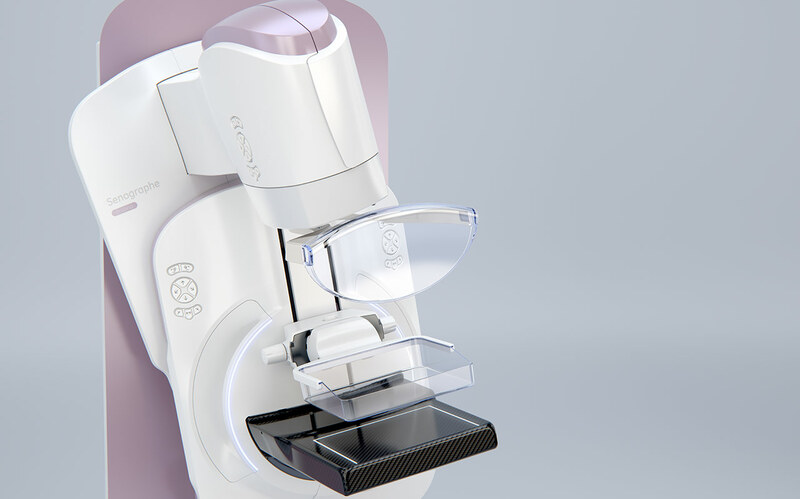 The Invenia™ ABUS (Automated Breast Ultrasound System) is the only FDA-approved* breast cancer screening technology, when used in combination with mammography, for detection in women with dense breast tissue. It looks at dense breasts differently to find cancer that mammography may not see, improving cancer detection by about 35%. Both cancer and dense breast tissue appear white on a mammogram, meaning in dense breasts, cancers may be masked on traditional mammography. If you are one of the 40% of American women with dense breast tissue, the addition of ABUS screening, along with your regular mammogram screening, will help provide a clear evaluation of your dense breast tissue. Unlike 2D or 3D mammography, which uses radiation, Invenia ABUS screening uses sound waves to create 3D pictures of the breast tissue. The exam takes about 15 minutes and provides your doctor with clear 3D ultrasound images. The physician will review the ABUS screening images, along with your mammogram. For information on ABUS at Sidney Kimmel Cancer Center - Washington Township or to make an appointment, please call 856-406-4100. Jefferson Health New Jersey offers a wire-free, radar localization technology, called SAVI SCOUT® at various locations. This technology ensures an easier experience for women undergoing lumpectomy. Traditionally, lumpectomy procedures involve wire localization — inserting a wire into the breast on the day of surgery. For many women, this leads to discomfort, increased anxiety, and reduced satisfaction. Instead of wires, the SCOUT system uses a small reflector, the size of a grain of rice, which is placed into the breast prior to the day of surgery. Using the system — which detects the reflector using its unique radar signal — surgeons can precisely target the affected tissue to pinpoint its location without the help of a wire localization in the setting of a lumpectomy for some patients. 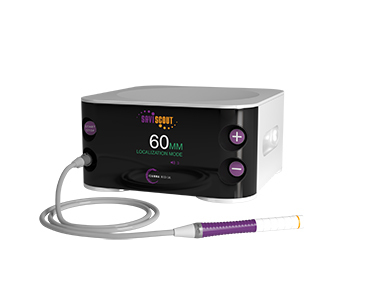 SAVI SCOUT® can also be used to effectively localize lymph nodes prior to pre-surgical therapy and can be used with any type of imaging over the course of a patient’s care. For more information on SAVI SCOUT® at Sidney Kimmel Cancer Center - Washington Township, please call 856-406-4100. Deliver extraordinary image quality on a broad spectrum of patient body types. 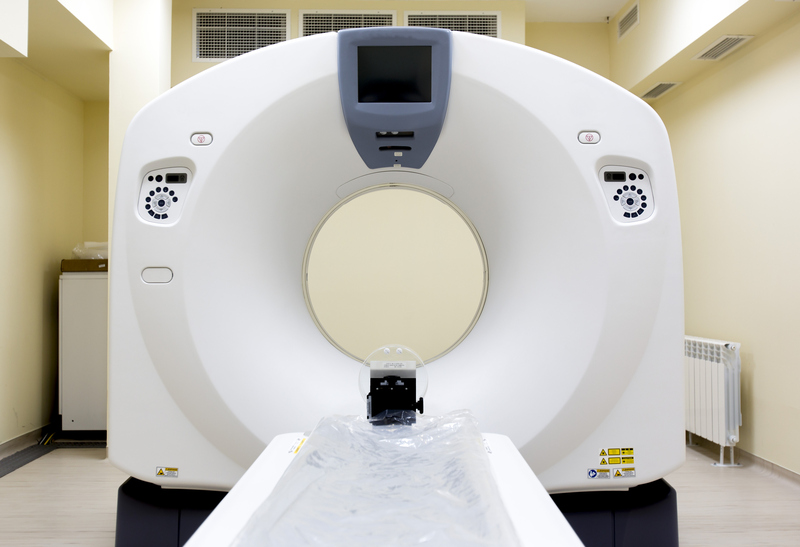 Integrate real-time ultrasound with previously acquired CT, MR, PET, or ultrasound images. Visually track your position during a scan. 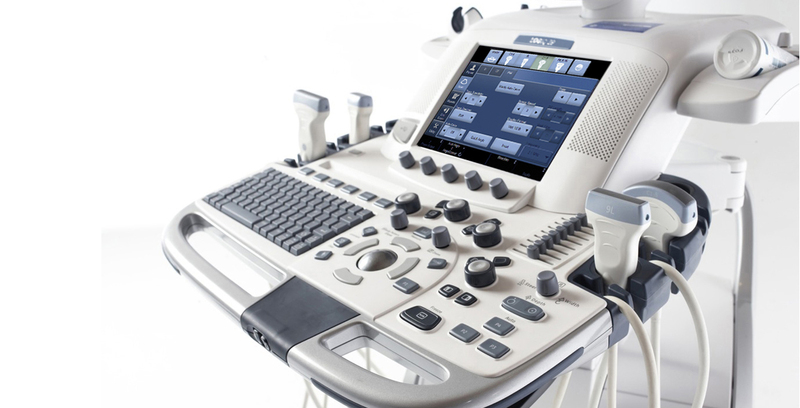 For more information on GE ultrasound technology at Sidney Kimmel Cancer Center — Washington Township or other cancer services available, please call 856-218-5324. Jefferson is changing the experience of surgery with robotic surgery options. The da Vinci® Surgical System and the MAKOplasty procedure are both designed to provide surgeons with enhanced capabilities, including high-definition 3D vision and a magnified view. Your surgeon is in full control, though these techniques are often called "robotic," neither can act on its own. Instead, the surgery is performed entirely by your surgeon. Robotic surgery allows your doctor to perform complex procedures through just a few tiny openings. As a result, you may be able to get back to life faster without the usual recovery following major surgery. For more information on robotic surgery at Sidney Kimmel Cancer Center — Washington Township or other cancer services available, please call 856-218-5324. Jefferson Health now offers Electromagnetic Navigational Bronchoscopy (ENB), a procedure using a combination of conventional and CT-virtual bronchoscopy. This new, innovative process – which only a few area physicians are proficient at – allows doctors to look at airways through a thin viewing instrument called a bronchoscope. Because of this, physicians can safely navigate a catheter into the outermost areas of lungs to safely perform biopsies. Completed as an outpatient procedure, patients are able to go home afterward. There is no cutting, and most patients return to their normal level of activity by the next day. Biopsies are immediately reviewed, and most patients have answers and a plan of action before they go home. ENB safely reaches any area of the lung with minimal risks, and can be further combined with endobronchial ultrasound (EBUS), which lets doctors sample lymph nodes and other areas of the chest surrounding the lung. EBUS also allows for further diagnosis of lung cancer and correct cancer staging at the same time. Previously, additional testing, procedures and/or surgery was required. This immensely shortens the time between diagnosis and treatment, increasing survival rates. 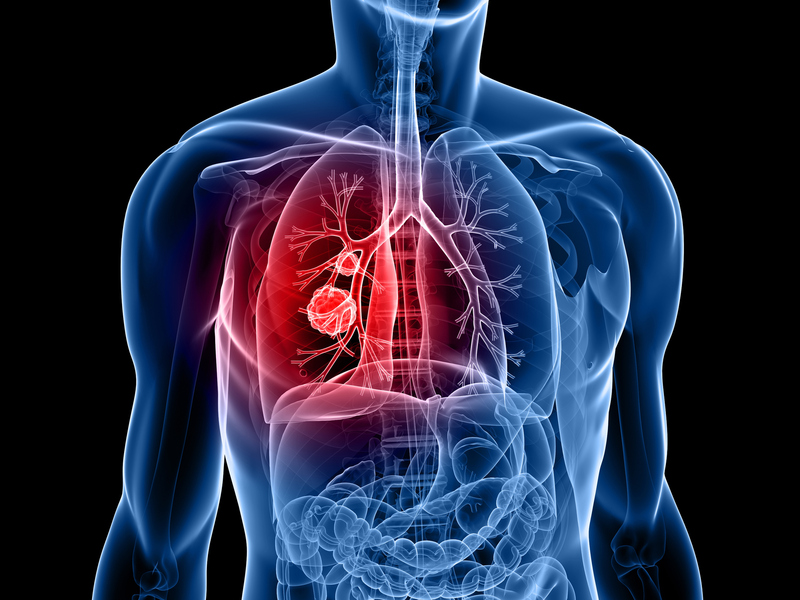 The greatest benefit of this procedure is the ability to routinely catch early stage lung cancer. When cancer is found in a low stage (I or II), the chance of curing it rather than just treating it is now real. ENB and EBUS can also be used for diagnosing non-malignant conditions, such as sarcoidosis, vasculitis, and infectious etiologies, to name a few. Anyone with a nodule larger than 8mm can be considered for ENB. The procedure is ideal for high-risk patients with a nodule greater than 8mm, or low-risk patients with a suspicious-appearing nodule. However, any patient will gladly be evaluated for ENB. For more information about ENB and EBUS at Sidney Kimmel Cancer Center — Washington Township or other cancer services available, please call 856-218-5324. The Sidney Kimmel Cancer Center — Washington Township now offers Brainlab Stereotactic Surgery (SRS) with ExacTrac, a highly precise form of high-dose radiation therapy that offers the advantages of surgery without being invasive. 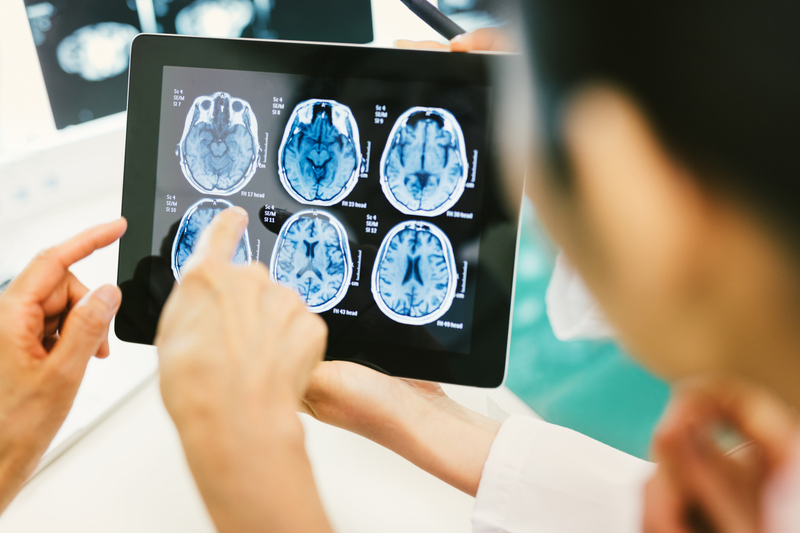 Used to treat several types of cancer – including lung, brain and bone cancers – Brainlab SRS carries very little risk of infection because it doesn’t involve an incision, and requires minimal recovery time. By focusing on the tumor, radiation exposure to nearby healthy tissue is reduced, with a decreased risk of side effects, too. Brainlab SRS can be an effective alternative for patients who are not candidates for traditional surgery. Additionally, it can provide “cancer control” similar to surgery for many cancers, while allowing the patient to enjoy a quick return to their regular activities. An entire course of treatment can be completed in just 1 to 5 days. Tamara LaCouture, MD, the Medical Director of Jefferson’s Radiation Oncology Program, began performing Brainlab procedures at the Sidney Kimmel Cancer Center Washington Township recently. For more information on Brainlab at Sidney Kimmel Cancer Center — Washington Township or other cancer services available, please call 856-582-3008. TrueBeam™ combines imaging, beam delivery and sophisticated motion management to accurately and precisely target tumors with speed. With shorter treatment times and quieter operation, TrueBeam™ provides for a more comfortable environment for patients and can improve the overall patient experience. Enhanced communication technology enables a constant interaction between the patient and the therapist who operates the equipment. Three closed-circuit television systems enable the therapist to monitor the patient at all times. Music can be played during treatment, helping to increase patient comfort. For more information on TrueBeam® Radiotherapy at Sidney Kimmel Cancer Center — Washington Township or other cancer services available, please call 856-218-5324. What's a Mammogram Like at Sidney Kimmel Cancer Center-Washington Township? As a woman, you know your health is important. Get more information about our innovative approach to mammograms, right in your inbox. Sign up today.